Join cardiothoracic surgeons from around the world for a four-day program of state-of-the-art presentations by renowned experts. Attendees will enhance their knowledge and skills in a wide-range of subjects including general and specialized cardiac surgery, emerging technologies, congenital heart disease, critical care and aortic/endovascular surgery. Cardiovascular disease and cancer are the leading causes of mortality and morbidity around the globe. Major advances in these conditions continue to be made at a rapid pace. Improvements in diagnostic techniques as well as interventional approaches to treatment, both surgical and percutaneous, challenge the clinical practitioner to remain current. Increasingly sophisticated technology to accomplish these aims is being developed and introduced into clinical practice. Exciting advances in basic and clinical science offer opportunities for participation in scientific studies and clinical trials. All of these elements create a significant educational need for the practicing cardiothoracic surgeon. 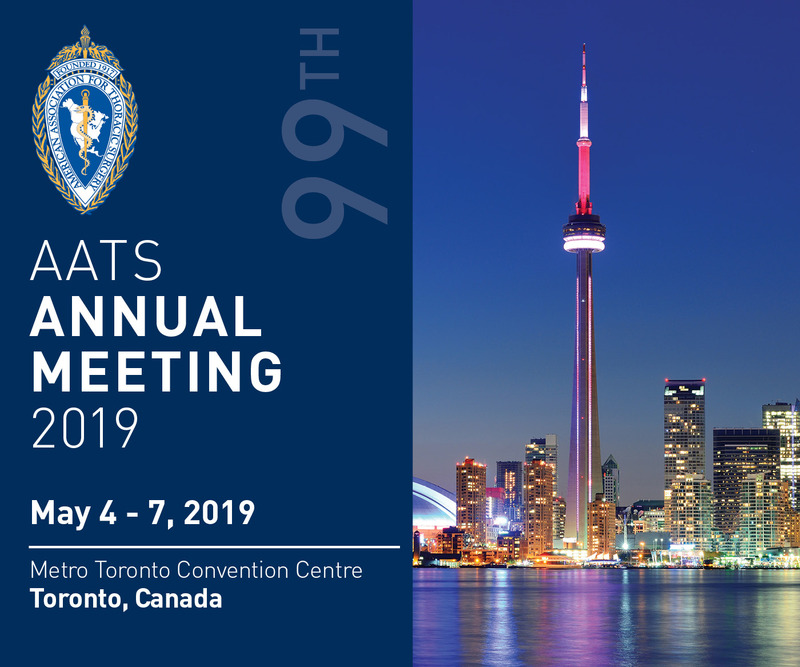 The AATS Annual Meeting fills this need through a combination of lectures, original scientific presentations and discussion forums.